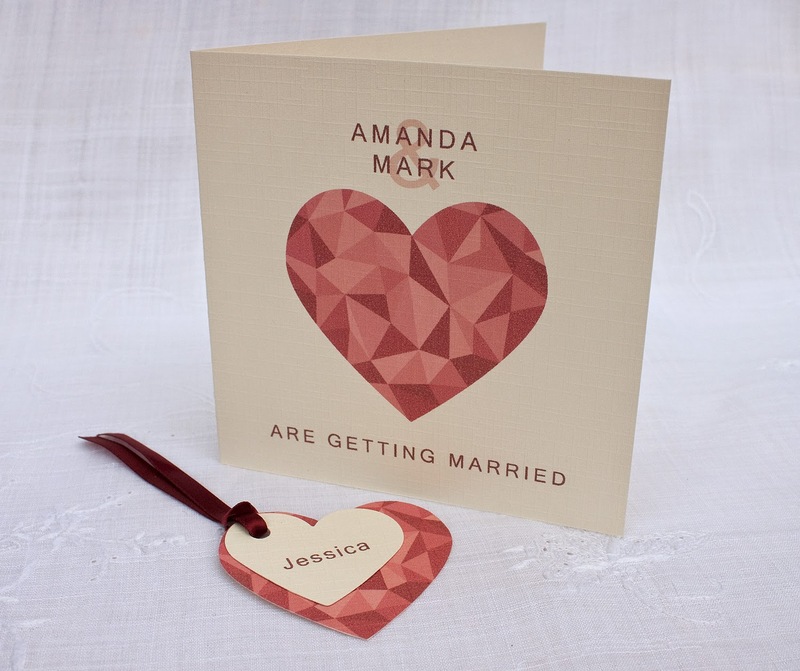 This is a very contemporary and fun design, using a heart motif as its main feature. The text is kept to a simple style, in-keeping with the contemporary feel. 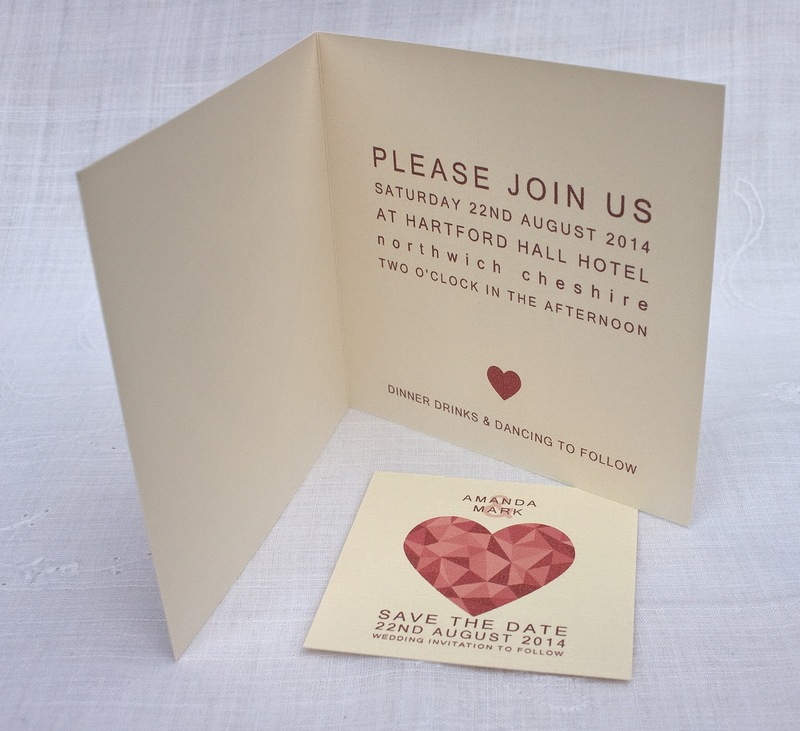 The card itself is of ivory linen effect and printed on both sides, then folded.